Rishi Rane works as a waiter/bartender for HMG, and has lately also been taking on the duties as a captain. He was born in Guildford, UK, then raised in Longwood, Florida, and is of south asian descent. He credits this diverse background with fueling his to desire to travel, and for developing interests in an array of foods, music and culture. 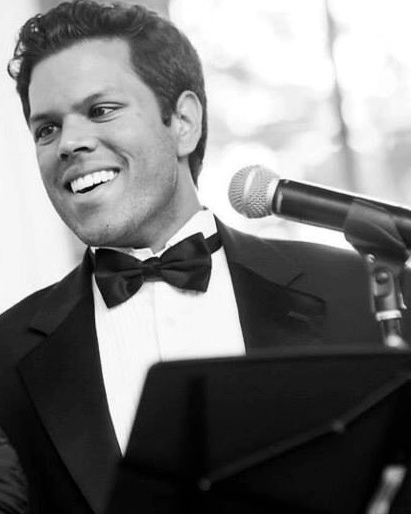 Rishi attended the University of Miami where he majored in music (vocal performance) and biology, later to pursue a music career here in NYC. He is gaining recognition for his performances in opera, musical theater and pop music. He most recently performed in a production called “The Summer King,” an opera about baseball and the tragic life of Josh Gibson which he initially premiered at the DiMenna center, NY in january with American Opera Projects, and again recently in Portland, ME with Ovations at Merrill Hall. Later this month he will perform in concert as part of the gala and competition for Miss Earth NY and NJ. In July, he will be performing in a solo concert at the University of Memphis, TN. As a member of the professional ensemble-National Chorale, Rishi regularly performs at Avery Fisher Hall as an ensemble member and soloist, this year in a concert series with works including Mozarts requiem, Beethovens 9th, and a concert of Bernstein solo music. He was seen last year performing in, and opening the 2013 Miss America Homecoming. He performed pop and Broadway songs in concert with Broadway stars Jay Rogers, Keith Thompson and Max Von Essen with a special appearance by Ben Vereen during the show. Rishi thanks HMG for their continued support of his career goals within and outside of the company.